Ricardo L. Bonaby – Caribbean Civil Group Ltd.
Mr. Bonaby was born in New Providence, Bahamas. He has an Associate of Arts degree in Applied Science and a BSc. in Applied Science from Youngstown State University. 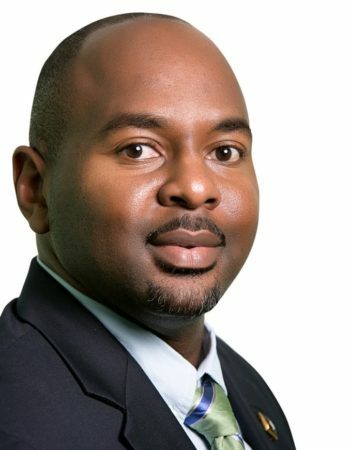 He is a member of The Bahamas Society of Engineers (BSE) and The American Society of Civil Engineer (ASCE), fellow of the American Academy of Project Management and a Certified International Project Manager. Mr. Bonaby has over 20 years of quality experience in preliminary survey, engineering design, feasibility studies, drainage analysis, infrastructural design, construction survey setting-out, engineering inspection, resident engineering and project engineering. Mr. Bonaby is well versed with design and construction using the AASHTO, FDOT, and FIDIC standards. He is certified as a compliance inspector of storm water and certified to prepare storm water pollution prevention plans. He also has the Green Advantage environmental certification. Mr. Bonaby is CCG’s resident project engineer and has worked in countries such as the Commonwealth of The Bahamas, Antigua and Barbuda, Belize, British Virgin Islands and St. Vincent and The Grenadines.